Native to Peru. 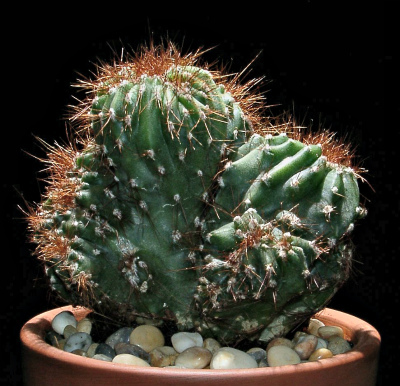 This cactus branches from the base with irregularly ribbed gray-green stems, that produce edible orange fruits with white flesh. The cactus may require protection during cold weather events. well-drained sandy or gravelly loam soil.